Deeply relaxing. Truly meditative. 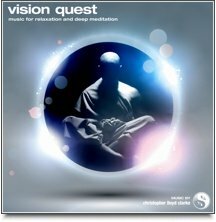 Vision Quest is a musical experience that will be deeply satisfying to anyone who appreciates minimalistic, spiritual music that has been designed to encourage deep states of consciousness. 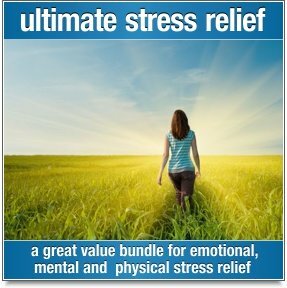 This music is included in our Spiritual Connection value bundle. Vision Quest is a musical journey in three parts. The first and last tracks are short and emotionally uplifting. The middle track in this album is very long and is perfect for deep relaxation and formal meditation. 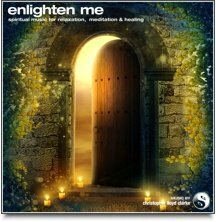 This inspiring music will surround you with a deeply spiritual atmosphere and prepare you for the meditation experience to come. With sacred mantra chanting, temple bells, angelic choirs and sweeping orchestral sounds, you are called into attendance – ready to begin your journey within. While the first and last tracks on this album are emotionally stirring, "The Journey" is not. 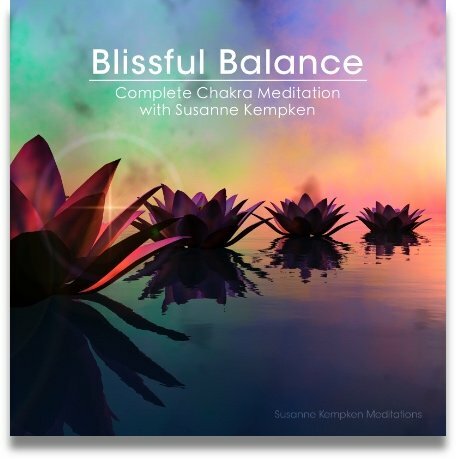 This relaxing music has been designed to encourage inner stillness and to enhance meditation. It does this through the use of some very interesting musical techniques. Notice that repeating phrase of bell tones? Those tones are what we call a “Sonic Mantra” and they form the backbone of this musical journey. Sonic Mantras are simply mantras that are made from musical notes. They are very hypnotic to listen to, and even more importantly, they make a wonderful focal point for meditation. Simply absorb your attention in the sound of the sonic mantra. Its comforting, meditative sound will help you to anchor your awareness in the present moment so that you can move past mental noise and get in touch with that part of you that is already quiet and still. As you listen, deeper tones embedded within the music also play a part in relaxing you physically, mentally and emotionally. A slow delta wave pulses gently in the low bass range of the music, while deep alpha waves help to bring your mind into relaxed focus. This music continues without pause for 55 minutes. During this time you may experience altered states of consciousness that can be quite profound. As you sink into an ever deepening state of relaxation, you may feel heavier or lighter. Time may seem to pass more slowly or more quickly. You may also experience moments where you drop into a very deep state and become completely unaware of the music for a while. Our advice is that you let go of any specific expectations and just let the music take you wherever you need to go. Enjoy your experience of Vision Quest in whatever form it takes. Do not feel as though you must listen to the entire 55 minute Journey every time you listen. If after 20 or 30 minutes you feel as though you want to get up, feel free to do so. But take your time. This music will probably put you in an altered state of consciousness, so give yourself a chance to come back down to earth. Do not listen to this music while driving or operating machinery. This is “eyes closed” music that should be experienced at a quiet volume. Give yourself some time out to enjoy it without distractions. Dim the lights and listen while lying down or sitting for formal meditation. This ethereal music will uplift your spirit and fill you with a sense of lightness and inspiration. It’s the perfect way to return from a deep inner journey and come back to the waking world with a clear mind and an open heart.